As can be seen, houndstooth (typically coloured black and white), masquerades itself under a variety of names and some intrinsically different designs, all of which causes no end of difficulties in exact defining. Some names are more popular than others, such as dogtooth, pied de poule, chicken’s foot, pepita, and shepherd’s check, which broadly act as synonyms and indeed there are still others. Indeed, I have identified no less than that 15 broad distinctions (admittedly some are variations of the theme, with Shepherd’s Check, Shepherd's Plaid etc). And then, to add to the muddle, different countries have their own preferences as to nomenclature! For instance, what is one person’s houndstooth is another’s pepita. And so on with the other terms. And then on occasion, by extension, any black and white tiling with jagged edges is described as houndstooth by less discerning authorities (if they can be called that)! In short, confusion as to intention reigns! Typically, the author will discuss houndstooth in a vague sense, using these terms as abstract concepts, with a myriad of personal meanings that without a categorical reference in terms of images leaves the reader unclear as to what is intended. For instance ‘houndstooth, or dogtooth...’. To this end, I here now discuss and show images of the exact patterns with names, as clear definitions, in the hope of at least of bringing some degree of rigor to the matter. Generally, when discussed, definitions are lacking, either omitted entirely or only described in passing. Very few are to be considered satisfactory. However, there are indeed the odd exception where this is indeed discussed in depth. Perhaps the most prominent authority here, at least on checks, is Edward S. Harrison, who wrote the definitive Our Scottish District Checks, in 1968 and who ran Johnstons of Elgin for 46 years from 1920-1966. (Johnstons of Elgin (Scotland's second oldest family business, from 1797) is a woollen mill in Elgin, Moray, Scotland and can be considered as the main company in the field.) However, his work far precedes the publication date, with as series of essays, of which in 1931 he authored a whole series of papers on the Scottish wool industry, and of which the district checks get a prominent mention. In short, two types are identified, one as according as to tessellation principles, left, and another, right, typically of a step appearance, in which the tessellation element is effectively merged, resulting in a 'cursive frieze' that I describe as interlocking. Note that the number of steps is not fixed in any way. Here, in contrast of defining succeeding examples, one is on relatively firmer ground. A houndstooth design is based on a 2-by-2 twill, with a 4-and-4 sequence of colour for both warp and weft. (Four yarns of the light colour and four of the dark colour). Books and Articles Feijs, Loe and Marina Toeters. ‘Cellular Automata-Based Generative Design of Pied-de-poule Patterns using Emergent Behavior: Case Study of how Fashion Pieces can Help to Understand Modern Complexity’. International Journal of Design Vol. 12 No. 3, 2018 pp. 127-144. Franklin, C. Fashion: The ultimate book of costume and style. London, UK: Dorling Kindersley, 2012, p. 446. For convenience I separate, or discern, three distinctions here, namely of twill type, colour/thread, and date of instigation in dictionaries. Be all as it may, from the following it would appear that houndstooth can be reliably described as a 2:2 twill (with four dark and four light threads). The traditional houndstooth check is made with alternating bands of four dark and four light threads in both warp and weft/filling woven in a simple 2:2 twill, two over/two under the warp, advancing one thread each pass. [houndstooth] The weave structure is the same as the Sharkskin; a 2/2 twill. Denotes a family of patterns, of which, it, itself belongs to the larger twill family. Traditional houndstooth check is made with alternating bands of four dark and four light threads in both warp and weft/filling woven in a simple 2:2 twill, two over/two under the warp, advancing one thread each pass. As refers the colour and number of threads, from this, albeit somewhat limited in extent sample, the ordering is seemingly of four dark and four light threads. The pattern is created from a rotation of 4 dark and 4 light picks with a rotation of 4 dark warps and 4 light warps. Dogtooth is seemingly used as a direct, one-for-one synonym for houndstooth. Ideally, given that houndstooth has become the de facto term, this would fade from use. Some authorities regard this as a smaller houndstooth (rather than a synonym), but again, always as a concept; scale is not mentioned. As this has now become broadly synonymous with houndstooth, I do not thus show an image, deferring to the above. A type of large broken checked pattern using pointed shapes instead of squares. Said to resemble the jagged back teeth of a dog. ‘Houndstooth’ describes the pattern in a larger size, ‘Dogtooth’ when it is smaller. Pied de Poule is also seemingly used as a direct, one-for-one synonym for houndstooth. This French term (for chicken’s foot) is the de facto use in France, and so likely will remain popular. a wool or cotton fabric made with cross-weave using identical warping and screening effects, the patterns of which recall the footprints of a hen. Chicken’s Foot (seemingly derived from the French pied de poule) is also seemingly used as a direct, one-for-one synonym for houndstooth. It’s name comes from French – pied de poule, so called because this pattern usually resembles chicken feet. In English, it’s called ‘houndstooth’; it’s created from the intersection of the vertical and horizontal threads, usually in black and white. Puppytooth is seemingly (or can be) used as a smaller scale synonym for houndstooth, albeit, infuriatingly for the purist, typically no mention is made of the scale comparison! The classic houndstooth pattern is an example of a tessellation. A smaller scale version of the pattern can be referred to as puppytooth. Houndstooth plaid got its name from a dog bite. If the plaid appears smaller, you can sometimes call it the puppytooth. ... “puppytooth”, a pattern generally understood as the lowest resolution houndstooth. While puppytooth is woven with alternating pairs of black and white warp and weft threads in a 3/1 twill, it is unclear whether Feijs’ proposed shape is weavable using any basic weaving structures. 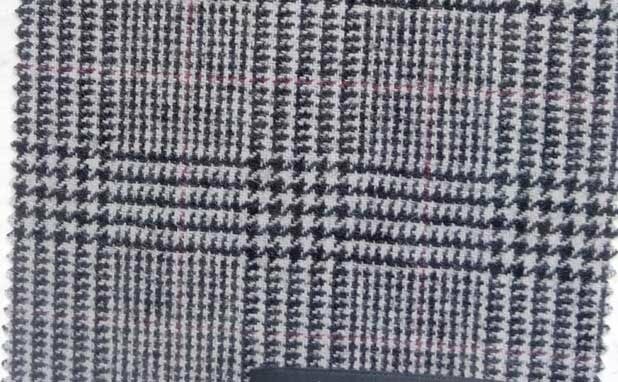 Feijs’ minimal houndstooth appears to be the most basic houndstooth “shape”, but not the most basic houndstooth weave (which appears to be, in fact, houndstooth proper with its 2/2 twill). Of note here is the 3/1 twill designation. I am unaware of other sources. Of all the above terms, pepita is perhaps the most vague as to intention. As well as standard houndstooth, it is applied to a whole host of other designs as well. In Germany, it is commonly used rather than houndstooth itself. Again, in contrast to the above four main terms, this is decidedly less frequently used. Pepita is formed when warp and weft strips of mostly eight threads width are woven kübperbindig, typically as 2/1 twill. Those blocks, where white warp threads meet black weft threads, appear diagonally striped. If the same chain is weaved away as plain weave, a vichy or block check is made of pure white, pure black and - depending on the thread count and distance - checkerboard patterned or uniformly gray appearing blocks. The sample is used in the Pepitahose or cooking trousers , a typical garment for the kitchen and bakery. 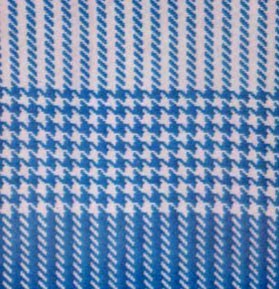 Fabric pattern with a characteristic small, two-colour check; in twill or linen weave, with 4:4 warping (this relation may differ). The most common combination of colours is white and black (or another deep colour). Pepita is the houndstooth similar pattern, which was named after the artist Josefa de la Oliva. (Pepita is the reduction of “Pepa”, short for Josefina, also follows the pun Pepita de Oliva for “Olive-stone”) It consists of small two-color (usually black and white) squares with diagonal connections, in contrast to the houndstooth-pattern , run in which the connections between the individual diamonds at a right angle. I am uncertain as to what is intended here. In short, the above all (with a proviso of pepita) refer to the classic houndstooth definition above, of either version, tessellation or frieze. Aside from these broad standard terms, are others, less frequently applied. The largely arbitrary first of a number of check patterns that have houndstooth of at least a part of the pattern. A connection to the country pursuit of shooting is embodied in the gun club check, though this time in America. This check is again of Scottish derivation, a “district check” typical to a particular area in the west Highlands. However, it was adopted by the American Gun Club for their overcoats and sport coats in 1874. Originally, a gun club check meant four colors of crossing lines–black, rust, gold, and green–designed as both an homage to the colors present in the landscape of the Highlands (similar to the nature of tweed) and as a kind of hunter’s camouflage; however, these days, it’s equally common to find gun club checks in only two colors, usually brown and blue. Like gingham and shepherd’s check, the lines in a gun club check are even and fairly thick, and like shepherd’s check, the diagonal twill pattern is visible. What makes gun club check unique is the presence of two or more colors, though such patterns may also be labeled shepherd’s checks, so identification can be tricky. The Gun Club pattern takes its name from a design adopted in 1874 by the New York Gun Club, based on the Glen Check or Glenurquhart check. 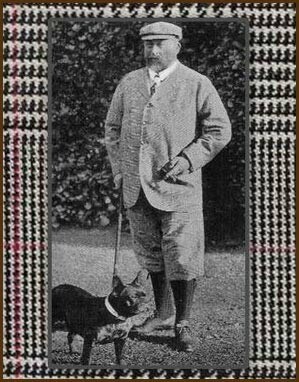 That was one of the earliest Estate Tweeds, and is essentially a black and white Shepherd's Check with a contrasting windowpane overlaid in alternating darker and paler lines. The characteristic small check might sometimes also be enhanced by a larger overcheck in a third colour. When this is done with two different overlapping colours, it's known as Gun Club tweed. The clothing world is full of dishonest monikers (I mean did monks really wear double-strapped shoes?) but gun club check came by its name naturally after actually being adopted by the American Gun Club in 1874. The pattern was originally known as "The Coigach" and developed in the Ullapool area in west Scotland as a "district check." District checks were used as a uniform of sorts for Scottish estates to show off your respective heritage, similar to the tartan patterns used to differentiate between clans. After being embraced by the Gun Club, the checked pattern became a favorite for Anglophiles who used the plaid for their country sport and overcoats. The fabric’s signature motif was created by four colors (traditionally black, red-brown, light gold, and pine green) intersecting to create bos of various sizes. The resulting pattern was quite geometric up close, but from afar read like a landscape of the countryside’s color palette. Part of of the twill-woven wool, or wool blend checked fabric group, gun club check is woven in three colors in an even pattern. Uses: Suits, jackets, coats, skirts. http://www.tartansauthority.com/resources/archives/the-archives/harrison/our-scottish-district-checks/ Much remains obscure as to the origins of the Gunclub check nomenclature coloring and background. Then there is the great group of the Gunclubs, which linked our District Checks with the New World when the Coigach was adopted in 1874 as their uniform by the Gun Club of New York or Baltimore. I should be deeply indebted to anyone who could give me authentic information on this point. Seemingly every reference since is predicated on this, in some form or another, with successive copying. However, much remains vague. Indeed, even as far back in 1933 Harrison was seeking clarification. From this, the exact gun club is uncertain. Of note is the Coigach background. Originally, a gun club check meant four colors of crossing lines–black, rust, gold, and green–designed as both an homage to the colors present in the landscape of the Highlands (similar to the nature of tweed) and as a kind of hunter’s camouflage; however, these days, it’s equally common to find gun club checks in only two colors, usually brown and blue. Like gingham and shepherd’s check, the lines in a gun club check are even and fairly thick, and like shepherd’s check, the diagonal twill pattern is visible. What makes gun club check unique is the presence of two or more colors, though such patterns may also be labeled shepherd’s checks, so identification can be tricky. So is it two or four colours? Originally called The Coigach, the pattern came from the Ullapool area in the western part of Scotland. Sometime around 1874, an American shooting club adopted it as their uniform and it henceforth became known as gun club check. Traditionally, the pattern consisted of black, a reddish-brown or rust, gold and forest green all connecting and intermingling. The fabric’s signature motif was created by four colors (traditionally black, red-brown, light gold, and pine green) intersecting to create bos [sic] of various sizes. The first of the original Gun-clubs was adopted as the club check of one of the American Gun Clubs in the year 1874. It is like the Shepherd on a white ground, but with alternating checks of black and strong red-brown. The six-threads in the check are just less than a quarter of an inch in the fabric, and the all-over effect is both pleasing and distinctive. As can be seen, there are considerable vagaries here. A major concern here is the colouring, of either two, three or four colours, with the colors largely inconsistent within any specification. One of a number of check patterns that have houndstooth of at least a part of the pattern. Simply stated, confusion and uncertainty is personified here! As can be seen, from various attributions, Prince of Wales Check and Glen Urquhart Check are to be regarded as very much alike. However this is not so. Prince of Wales Check is defined as with a red overlay check, not easily seen at a casual glance. Some authorities make the finer distinction, whilst others consider the terms transposable. Ideally, this should be preserved. There seems to be no one central body to be categorical on the matter. Edward Harrison http://www.tartansauthority.com/resources/archives/the-archives/harrison/our-scottish-district-checks/ Tradition - not too well authenticated - says it was designed by King Edward, when, as Prince of Wales, he used to shoot from Abergeldie House in the Forest of Mar. and THE PRINCE OF WALES is a bold pattern of the Glenurquhart type. It is nine inches on the repeat but being a double arrangement it hardly looks so large. The colours are the terracotta brown of the Ing and white. The general effect is a brownish pink. The 4 and 4 starts and ends with white and the dark slate overcheck is taken off the first and last brown expanded to six threads. The 2 and 2 starts and ends with dark so that a basket effect is produced. There is a not very well authenticated story in our mills that it was made for King Edward VII when he was Prince. In the above photo [shown below], look closely to find the fine red “overcheck-line” added atop the traditional glen check for a pane-like overlay effect. When a fine colored line such as this is added to the pattern, the cloth may be referred to as a Prince of Wales, based on the point that Sir Edward VII preferred the fabric for so many of his bespoke garments. Designed by his King Edward VII when he was Prince of Wales, as livery for his hunts at Abergeldie Castle on Scotland’s Deeside it was popularised by his grandson the Duke of Windsor when he was Prince of Wales. Its authentic colours are red-brown on a white ground with a slate grey overcheck. Seemingly taken from Abraham Moon. The terms Prince-of-Wales check and glen (originally Glenurquhart) check are used largely interchangeably to describe a tight checked pattern. Both, however, originally referred to something specific: glen check to that used by the Countess of Seafield at the beginning of the 19th century for her gamekeepers, and Prince-of-Wales check to the pattern developed by Edward VII when he was the Prince, inspired by the Seafield check. The latter was later popularised by his grandson, the Duke of Windsor. Either way, it is a twill design comprising varying sizes of checks, often with an overcheck in a contrasting colour. The authentic “Prince of Wales” check is actually in red-brown and white with navy separating the different sections of the check. One of a number of check patterns that have houndstooth of at least a part of the pattern. Edward Harrison http://www.tartansauthority.com/resources/archives/the-archives/harrison/our-scottish-district-checks/ The GLENURQUHART CHECK, or as it was called in the country of its birth the Glen Urquhart Tartan. It is in its simple and original form a development of the Shepherd Check. Whilst the actual origin of the pattern may be, and probably was, accidental - for every one of us who has served his apprenticeship to the weaving and designing of our Scottish Woollens has got over the knuckles for mixing up the coloured threads of the Shepherd - the fixing and adopting of the definite device of the Glenurquhart is due to Caroline, Countess of Seafield, who, some time about the middle of the nineteenth century, adopted the form we illustrate in her Glen Urquhart estates, and there it was worn for many years by tenants, factors, and gamekeepers alike. This device, combining two different patterns in one, was a stroke of genius, and has given the designers of the world a source of countless varieties of patterns that have clothed untold millions of well and ill dressed men and women all over the globe, wherever Western civilisation has made its touch felt. The Countess was a woman of great character, and, after the deaths of her husband and her son, ruled her wide estates for many years with beneficent tyranny. She was herself a handloom weaver, and this is perhaps why tradition has credited her with the design. It seems certain that the actual designer was Elizabeth Macdougall, who lived at Lewiston, a small group of crofts at the foot of the Glen. She spun and dyed the yarn, and the first web was woven by William Fraser. It is an amusing detail of the story that as William did not easily understand her instructions for this outstanding novelty - in which he was very like his modern successors - she sketched her instructions with a stick on the mud in front of his cottage door: which suggests that elaborate apparatus is less important than ideas! Originally this great design was blue and white, but before long the present-day black replaced the original dark blue. The invention took place some time in the late 'forties of last century. and This then was the design chosen by Lord and Lady Seafield for their Glen Urquhart estates, and the original estate cloth was woven in a little mill which, till quite recently, continued working in a quiet way. The mill still stands a little way up the Glen, but it is now only inhabited as a house. The Glen Urquhart check is sometimes also called Glen Urquhart plaid, glen check or glen plaid. Glen check and glen plaid are good terms to use to describe all variations of the Glen Urquhart check, whether it’s a different colour or a different weave. Often the Glen Urquhart check is incorrectly called the “Prince of Wales” check. The authentic “Prince of Wales” check is actually in red-brown and white with navy separating the different sections of the check. Sometimes “Prince of Wales” is used to describe a glen check with any overcheck, which is like a windowpane over the plaid…. The Glen Urquhart check is made up of four sections. The largest section is a houndstooth check, and it’s made up of alternating four light yarns and four dark yarns in both the warp and the filling (weft). That means in both directions the yarns alternate four and four. Note that the above is from a piece on the suits James Bond wore in the series of films, and of which heavy reference is made to individual films and actors. As these are not strictly relevant to the definition, I have excised that part of the discussion. See the link above for the text in context. As a follow up to the Glen Urquhart check article, this article looks at the common smaller variations of the glen check in a plain weave and a hopsack weave. The plain weave glen check is woven in a the simplest of weaves, in which the threads interlace alternately.... It’s usually the type of glen check found on warm-weather suits, since the simple plain weave is usually lighter in weight and more open than other weaves. The glen hopsack check is woven in a two-and-two hopsack weave, in which two adjacent warp yarns are interlaced with two interlaced filling yarns. This check can easily be found in the traditional contrasting tones—like in Sean Connery’s suits—but also often in dark tone-on-tone colours for City business dress. Whilst the Glen Urquhart check has sections of alternating yarns four light and four dark and sections of alternating yarns two light and two dark, the glen checks in both a plain weave and a hopsack weave have sections of alternating yarns two light and two dark and sections of alternating yarns one light and one dark. In the two weaves sometimes the resulting smaller patterns are the same and sometimes they are different. In both weaves the section of alternating yarn colours two and two in both directions creates a four-pointed star check. It somewhat resembles a miniature houndstooth check, and thus it is sometimes called a “puppytooth” check. It is also knowns as a “crowsfoot” check. As detailed above, see the link above for the text in context. Glen Plaid/Prince of Wales Check- Glen plaid, also known as the Prince of Wales check, is a pattern most commonly found in suits. It is woven in a twill pattern and consists of broken checks where a conglomerate of alternating dark stripes and light stripes cross each other to create a pattern of small and large checks. This pattern is usually done in a muted color with white. Here West fails to make the subtle distinction between the types. Finally, we have glen check (sometimes also called glen plaid), which I mention last because it isn’t what I would consider a pure check if we are talking only about grids since it admits more than just lines; it also contains varied houndstooth patterns making up the lines and filling the blocks created by them. However, given its name and the fact that the crossing pattern of rectangles is visible, it definitely deserves a mention here as one of the most popular patterns in menswear. Here Gentleman's Gazette fails to make the subtle distinction between the types. Also known as the Prince of Wales check, glen plaid is a twill pattern made from notched checks in small and large sizes. It originated from the Glenurquhart Valley in Scotland, where it was used by the Countess of Seafield in the 19th Century to outfit her gamekeepers. It was then popularized by Edward VIII, Prince of Wales during the 1920s. Glen plaids usually come in black and white. Thanks to its origin, the pattern has a sporty but polished appeal and is often used in suit jackets and officewear. Originally wool in a right-hand twill weave, distinct block-patterned glen plaid patterns are now woven in any fiber, although still often in wool or wool blends. Gleann is the Gaelic word for valley, and in the rugged Highlands of Scotland the valleys were where most homes were established. Glen plaid, as it is usually called in the United States, is synonymous with Glen Urquhart. In the UK it is called glencheck or glen check. Castle Urquhart overlooks Loch Ness in the Great Glen of the northern Highlands. Uses: Suits, coats, slacks, skirts, scarves, jackets, dresses, hats. Left, Glen Urquhart Check, Right, The Prince of Wales in his checked suit. Shepherd’s Check is seemingly used as a direct, one-for-one synonym for houndstooth, despite there being obvious, albeit subtle differences. Of note is that the term itself predates houndstooth, by hundreds of years. As can be seen, despite bearing similarities, below, there are subtle differences in the design, as when compared to standard houndstooth. As such, I consider that the distinction should be retained, and not used anonymously. This is also described under a myriad of other names. Be all as it may, the term can be used to describe the same design but of different twills, which drastically changes the impression! The subtleties of the weaving mathematics I leave for another day. Definition of shepherd's check: a pattern of small even checks of contrasting color (such as black and white) also: a fabric woven in this pattern and typically having a visible twill weave — called also shepherd's plaid. 1. a pattern of even checks, used in a variety of fabrics. 2. a fabric having this pattern. Shepherd’s check - This pattern is a twill-weave of small, even-sized, colored and white checks. While this check often resembles the gingham check, the visible twill weave is what distinguishes the shepherd’s check from gingham. The name derives from the plaid worn by shepherds in the hills of the Scottish borders. The hounds tooth pattern originated from the Shepherd’s check. Shepherds Check is a pattern consisting of alternating colored stripes crossing each other to form a checkered pattern, set against a twill weave backdrop. While a Shepherds Check looks similar to a Gingham checkered shirt, the key difference is that it is set against a twill background. As its name implies, shepherd’s check is another rural pattern, this one originally used by Scottish shepherds on the border with England, so we have one check that originated with horse blankets (Tattersall) and another with sheep blankets. Shepherd’s check looks almost like a gingham but is distinguished by the visibility of a twill pattern. That is, you can see diagonal lines intersecting the squares, which makes the pattern more complex. As with gingham, shepherd’s check usually appears as a single color on a white ground. 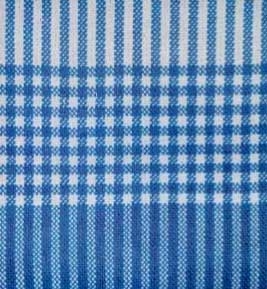 The original district check—shepherd’s check, or shepherd’s plaid—is white and one dyed color (usually black) in a simple uniform check pattern. The pattern is traditionally small (about 1/4” per color), and of wool in a right hand twill weave. The pattern may now be woven of any fiber, but still is often of wool or a wool blend. A decidedly less used term. Essentially a synonym for Shepherd's Check, Northumberland Tartan or Galashiels Grey. Border tartan, sometimes known as Northumbrian tartan, Shepherds' Plaid or Border Drab, or Border check is a design used in woven fabrics historically associated with the Anglo-Scottish Border, including the Scottish Borders and Northumbria. Possibly the most identifiable Border tartan garment of the region is the maud (plaid), made popular from the 1820s by fashionable Border Scots such as Sir Walter Scott, James Hogg, Henry Scott Riddell and Robert Burns. The modern Border tartan is a crossweave of small dark and light checks, much plainer than the better-known Scottish tartans. Traditionally, the yarn for the light squares was simply untreated sheep's wool and the darker yarn was the same wool dyed with simple vegetable dyes, such as alder bark or water flag, or the untreated wool of a black sheep. Modern Border Tartans are almost invariably a bold black and white check, but historically the light squares were the yellowish colour of untreated wool, with the dark squares any of a range of dark greys, blues, greens or browns; hence the alternative name of "Border Drab." At a distance the checks blend together making the fabric ideal camouflage for stalking game. This style of tartan is one of the oldest in existence as fragments of similar tartans have been found in Great Britain and Jutland. The Border tartan has long been worn by the retainers of the House of Percy. In 1760 it was adopted as the official tartan of the Duke of Northumberland's piper. It is also the official plaid for pipers of the Northumberland Fusiliers and is nowadays commonly worn by Northumbrian pipers in general. The original Falkirk 'Tartan', now in the National Museum of Scotland, has a place in history as one of the earliest examples of Scottish cloth in existence. It is a direct link back to the Roman occupation of the area around 250 A.D.and was found stuffed into a pot filled with over 2000 silver coins. This early Celtic tweed used undyed yarn to give a herringbone pattern in brown hues and is considered to be a 'poor man's plaid'. A decidedly less used term, but more popular than others of the lesser known terms. Essentially a synonym for Shepherd's Check, Border Tartan or Galashiels Grey. The Northumberland tartan is also known as the Border or Shepherd Plaid. It is closely linked to the Percy family (Dukes of Northumberland), forming the official dress of their piper. Originally worn by shepherds tending their flocks in the Border area, the check is now the Shepherd family tartan. Textile historians have dated a fragment of the pattern, discovered in a bottle near Falkirk, to 270 A.D., suggesting that the pattern was known as far back as Roman times. It would have originally been woven using un-dyed sheep's fleece. Vegetable dyes were later used to create similar checks in natural shades of greens and browns. It is believed that Sir Walter Scott wore a pair of checked trousers made from the Northumberland tartan in London, making checks trendy. Perhaps the oldest is the Northumberland tartan, otherwise known as the Shepherd’s plaid. This simple black and white design has long been associated with Scotland’s border region, and was subsequently adopted for use by the Duke of Northumberland’s piper, possibly as early as 1760. Today it is regarded as the proper district tartan for Northumberland, England’s northernmost county, and is marketed by the Northumberland Tartan Company. A decidedly less used term, almost to the point of inconsequence. Essentially a synonym for Shepherd's Check, Northumberland or Border Tartan. No specific image was found. A maud is a woollen blanket or plaid woven in a pattern of small black and white checks known as Border tartan, Falkirk tartan, Shepherd's check, Shepherd's plaid or Galashiels grey. It was in common use as an item of clothing in the southern counties of Scotland and the northern counties of England until the early twentieth century. A decidedly less used term, almost to the point of inconsequence. No specific image was found.